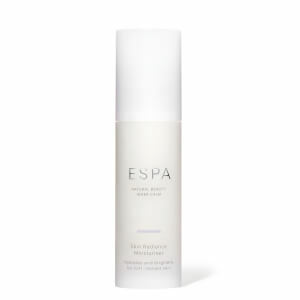 An advanced moisturiser that works over 8-hours to reduce the appearance of lines and wrinkles, help prolong skin vitality, while calming the skin and boosting radiance. Using Natural Encapsulation technology (NET), a combination of powerful natural actives are released onto the skin over time. Himalayan Fleece Vine helps revitalise skin while reducing the appearance of lines, Lupin Seed helps firm and enhance elasticity while Pomegranate calms, hydrates and boosts radiance. 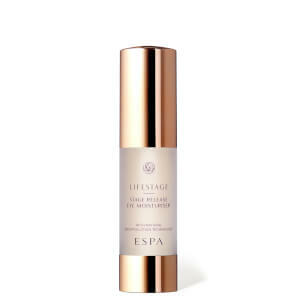 Further ‘lock in’ the benefits by applying Optimal Skin ProDefence SPF 15 over LifeStage Stage Release Moisturiser for your final protective layer. 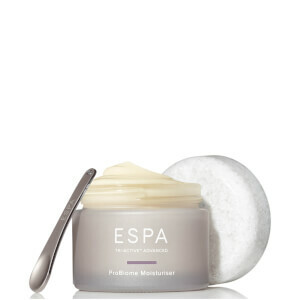 Suitable for mature skin types showing visible signs of ageing. Aqua (Water), Coconut Alkanes, Caprylic/Capric Triglyceride, Glycerin, Helianthus Annuus (Sunflower) Seed Oil Unsaponifiables, Bifida Ferment Lysate, Cetearyl Olivate, Cetearyl Alcohol, Helianthus Annuus (Sunflower) Seed Oil, Inulin Lauryl Carbamate, Sorbitan Olivate, Hydrolyzed Corn Starch, Zea Mays (Corn) Starch, Ethylhexyl Palmitate, Squalane, Butyrospermum Parkii (Shea Butter) Extract, Coco-Caprylate/Caprate, Myristyl Myristate, Punica Granatum Sterols, Sorbitol, Phenoxyethanol, Sodium PCA, Cetyl Palmitate, Caprylyl Glycol, Sorbitan Palmitate, Polysorbate 80, Sclerotium Gum, Alcohol, Hydroxypropyl Methylcellulose, Pullulan, Carnosine, Sodium Lactate, Chondrus Crispus (Carrageenan) Extract, Butyrospermum Parkii (Shea Butter), Disodium Coco-Glucoside Tartrate, Salicylic Acid, Lecithin, Cymbopogon Martini Oil, Cera Alba (Beeswax), Citrus Aurantium Dulcis (Orange) Oil, Pelargonium Graveolens Flower Oil, Lupinus Albus Seed Extract, Lens Esculenta Seed Extract, Avena Strigosa Seed Extract, Spilanthes Acmella Flower Extract, Silica, Silica Dimethyl Silylate, Lavandula Hybrida Oil, Porphyridium Cruentum Extract, Sodium Hyaluronate, Phytic Acid, Butylene Glycol, Citrus Aurantium Amara (Bitter Orange) Flower Oil, Tocopheryl Acetate, Pogostemon Cablin Oil, Cistus Ladaniferus Oil, Glyceryl Linolenate, Citrus Nobilis (Mandarin Orange) Oil, Sodium Benzoate, Glyceryl Linoleate, Hexylene Glycol, Retinyl Palmitate, Sodium Ascorbyl Phosphate, Xanthan Gum, Soy Isoflavones, Ethylhexylglycerin, Vanilla Planifolia Fruit Oil, Lepidium Sativum Sprout Extract, Tocopherol, Leucojum Aestivum Bulb Extract, Disodium EDTA, Borago Officinalis (Borage) Seed Oil, Chamomilla Recutita (Matricaria) Flower Extract, Cholesterol, Glycyrrhiza Glabra (Licorice) Root Extract, Hydroxypropyl Bispalmitamide MEA, Linoleic Acid, Polygonum Cuspidatum Extract, Jasminum Officinale (Jasmine) Oil, Rosa Damascena Flower Oil, Glyceryl Caprylate, Citral, Citronellol, Farnesol, Geraniol, Limonene, Linalool.